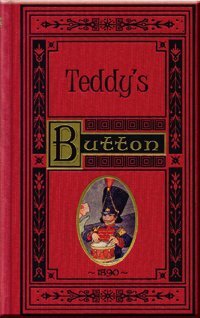 Young and old alike will love the story of Teddy's Button! This tale will open a child's understanding of the spiritual battle within as Teddy learns that he is his own worst enemy! As a stubborn boy and girl refuse to back down from their selfish pride, one of the many lessons they learn is that they cannot win battles by force and hate, but by carrying the banner of love. This charming story helps children to understand the spiritual battle that rages in their souls, and that parents and children are on the same side. Who is your most foul and cruel enemy? 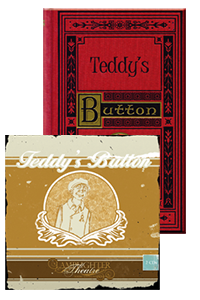 After reading Teddy's Button, you may have a new answer to that question. Flamboyant Teddy Platt cannot keep silent about the glorious history of his sacred button. Soon this passion brings him into contention with a new little girl in the village. God uses this enmity to bring Teddy to his knees, ready to sign up in the Lord's Army prepared for service in the war against his worst enemy - himself! Are you a faithful servant of the King flying the banner of Love over your life? Teddy has some lessons to teach us all. "There were guns blazing, shells flying, and swords flashing and hacking away!" clamors Teddy as he vividly recounts the bravery of his father's heroic deed. But rivalry between a soldier's son and a sailor's daughter drives Teddy to his breaking. . .